FDM prototypes or Fused Deposition Modeling prototypes are created using an additive manufacturing technology. It is one of the many techniques used for 3D printing. 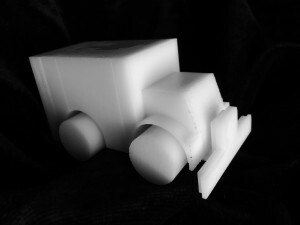 FDM prototypes work on an additive principle where the materials are developed in layers. FDM starts with a software process which includes an STL file. The process continues by heating and extruding a thin filament of thermoplastic to create parts layer by layer. Heating is important because it helps fuse the layers together, strengthening the structural integrity of the prototype. FDM is great when it comes to printing complex 3D parts that require high performance material properties. This bodes well for extreme testing. At Met-L- Flo, Inc., we have a vast amount of FDM materials to assure the best match for your custom FDM prototypes. For more information on FDM prototypes and the FDM process, feel free to call as at 1-800-MET-L-FLO or simply fill out the contact form on the right and one of our knowledgeable representatives will get back to you shortly. FDM prototypes offer plenty of advantages and benefits as well such as fast quotes, fast turnaround, real world thermoplastics, heat resistance and chemical resistance. For more information on FDM services or if you have any questions about FDM or our other services, call us today at 1-800-MET-L-FLO today and let Met-L-Flo create and bring your conceptual design to life. Or fill out the form located on the right side of this page and one of our associates will get back to you shortly.